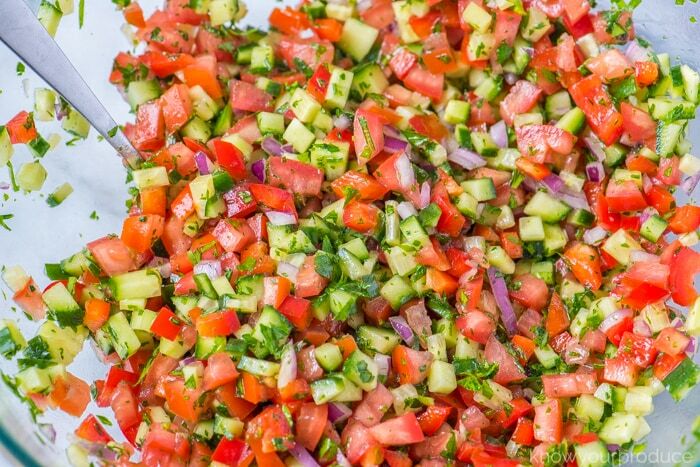 Israeli Salad is a must make Middle Eastern Recipe that is full of flavor! 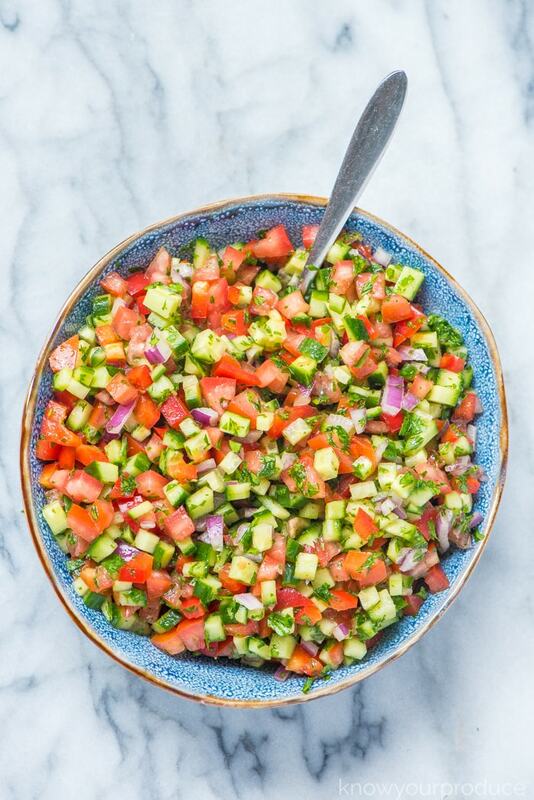 This side dish salad is also known as Shirazi Salad (Persian Cucumber and Tomato Salad). 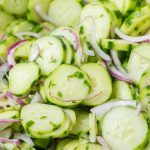 Israeli Salad Recipe is a staple in our home. 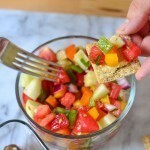 It’s easy to make this recipe and if you’re looking to add some colorful raw veggies to your diet, this is it! 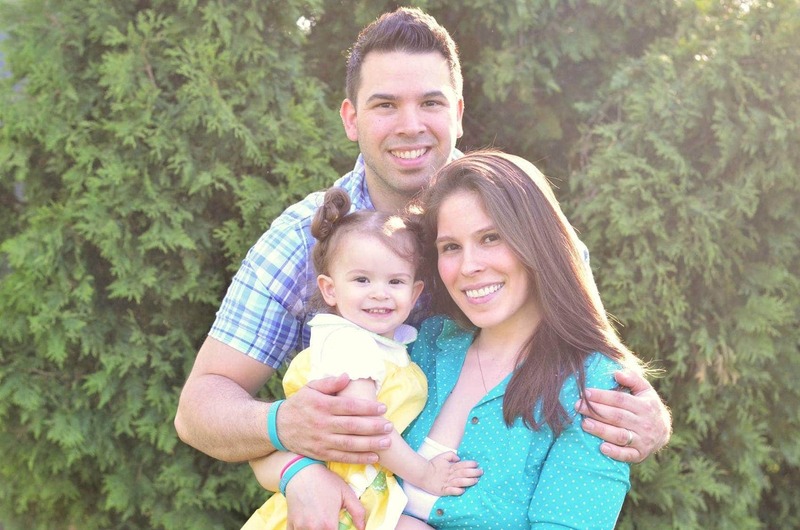 I love how food holds so many memories, and I want to share some of those with you! 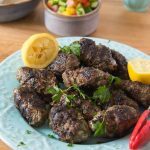 I remember when I was a little tike running around with a pita pocket stuff with this salad, hummus, and beef kofta kebab recipe. I don’t eat lamb anymore. My favorite way to enjoy it now is with shrimp or beef. 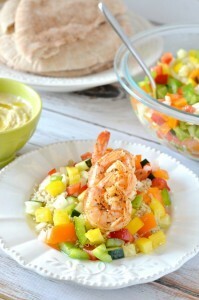 Shrimp cooks up quickly and is perfect for serving multiple guests without all the prep and hassle. With the summer months, you’ll have a beautiful, abundant crop of peppers, so this is a great way to use them up. If you want to save them, you can freeze them too! Have you seen our post on how to roast red peppers yet? They are so good on their own or in our Roasted Rep Pepper Macaroni and Cheese! We’re a pepper loving family. When I was pregnant, I would eat one red pepper a day. Now my daughter and I eat one red pepper each every day. They can be pretty pricey when you buy organic, but they’re so good and worth the price. Our favorite choice is Holland Peppers, so sweet and crisp. We love how beautiful the colors are in this salad. 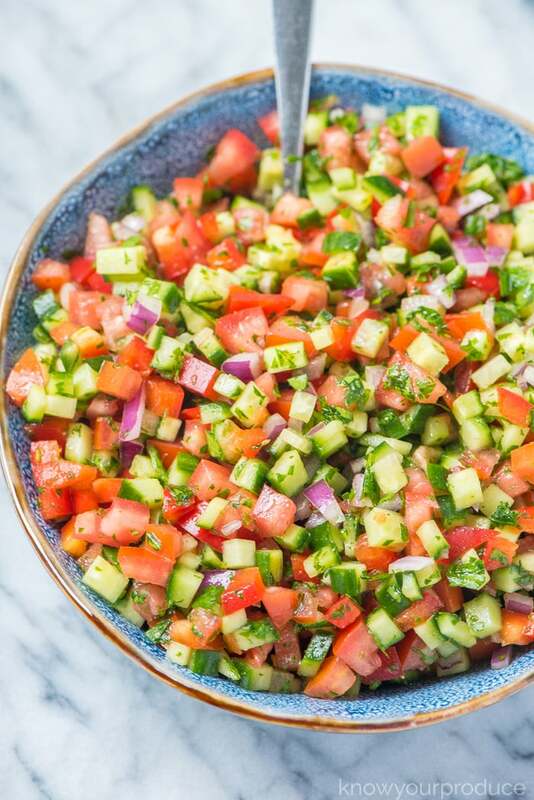 Israeli salad ingredients are simple and delicious, we let the produce really shine in this raw salad from the middle east. Some use fresh mint, so you could even do parsley and mint in this recipe. 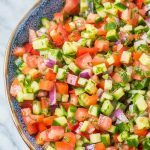 It’s a delicious healthy middle eastern chopped salad, the base is always cucumbers and tomatoes. 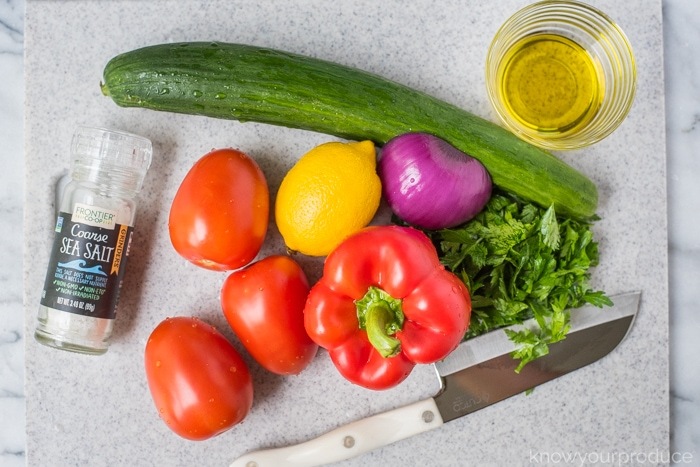 Then start finely dicing the tomatoes, cucumber, peppers, onions, and parsley. 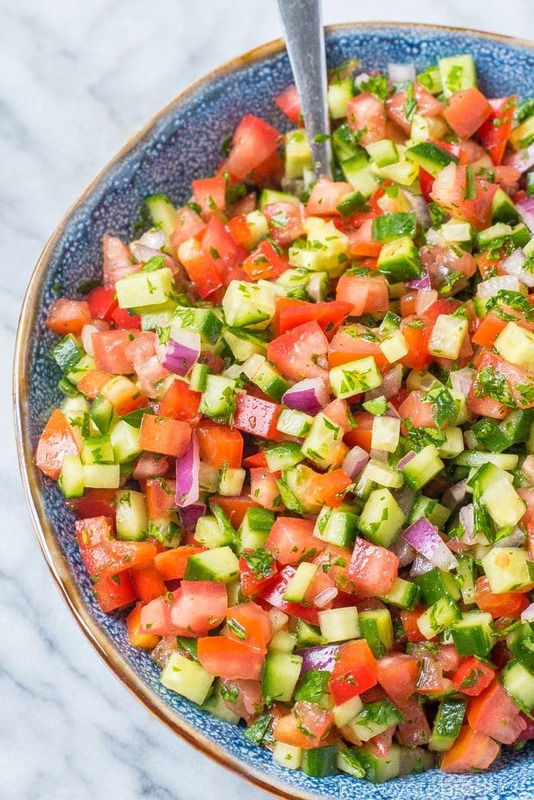 Once you’ve chopped all of the vegetables add them to a large bowl (not a small bowl, this is a decent amount of salad and you want to be able to mix without spilling) with the chopped parsley. Drizzle with the olive oil and lemon, then salt to taste, viola – that’s it! We like to have a large batch of this in the fridge at all times. There’s really no wrong way to enjoy this salad. 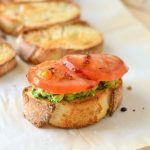 You can enjoy this with breakfast, lunch, or dinner. Yes, I said breakfast! 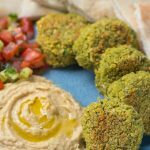 My family loves this over omelets, fried eggs, with our Mediterranean rice, beef kofta, or even turkey meatballs with Middle Eastern flavors. 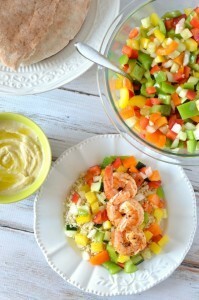 My family will even enjoy on a pita spread with hummus and this salad inside. Make this in advance or right before serving. Double or even triple for entertaining. When it sits in the refrigerator the peppers, cucumbers, and tomatoes, will release some water, this is normal. You can use a slotted spoon to remove the desired amount. 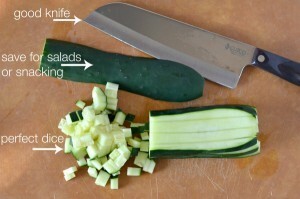 You can do a small dice or finely chopped this salad, you could even do a rough chop and make it more rustic. This is naturally a vegan recipe, but you can make it vegetarian by adding in some feta cheese. Want to add some vegan protein? Add in some chickpeas! Chickpeas are a staple in Middle Eastern recipes. 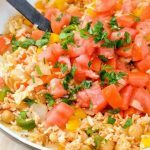 Israeli Salad is a must make Middle Eastern Recipe that is full of flavor! 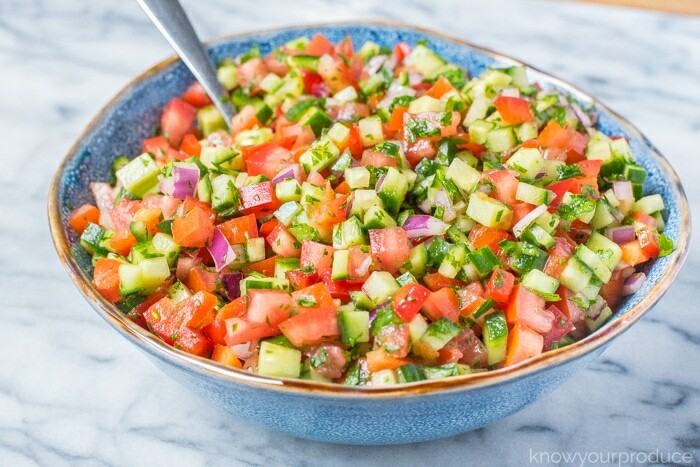 This salad is also known as Shirazi Salad (Persian Cucumber and Tomato Salad). Slice the tomatoes in half and discard the seeds. Chop the tomatoes, cucumbers, peppers, onion, and parsley. 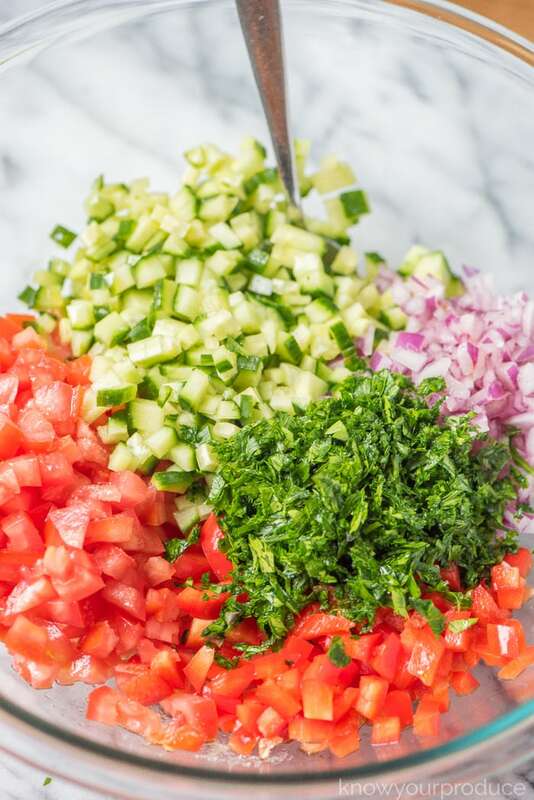 Place the chopped vegetables and parsley into a bowl. Add in the lemon juice, olive oil, and salt. Mix until combined and serve as desired. 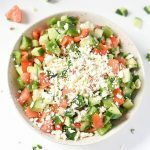 Yikes, we’ve updated this recipe and here are our older photos when we called this Israeli Pepper Salad, we’ve updated to name this to the traditional salad I grew up eating. I am going to sure going to try this recipe with my sister, she will love it! As will I! This looks so tasty and perfect for summer. Your photos are amazing as always! I remember eating this when I was a child also and thinking how could peppers be so good! 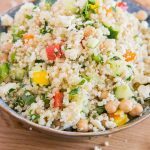 Thanks for bringing me back with this Israeli salad recipe my entire family enjoyed.